An rvg file extension is related to the Kodak RVG x-ray imaging application. An rvg file stores x-ray image. What is rvg file? How to open rvg files? 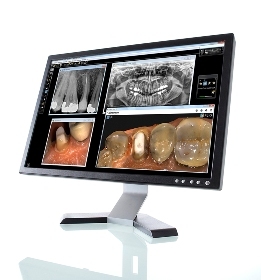 The rvg file extension is associated with the RVG, a software for Microsoft Windows operating system, which enables dentists to create x-ray images of patient's teeth. The rvg file stores x-ray image from Kodak RVG application. The robust and easy-to-use software that provides one-stop access to all your images. Featuring an intuitive and modern user interface that’s specifically designed to support your diagnostic capabilities. Use Kodak RVG to view *.rvg files. Kodak RVG is may be able to transform *.rvg files to other formats. and possible program actions that can be done with the file: like open rvg file, edit rvg file, convert rvg file, view rvg file, play rvg file etc. (if exist software for corresponding action in File-Extensions.org's database). Programs supporting the exension rvg on the main platforms Windows, Mac, Linux or mobile. Click on the link to get more information about CS Imaging for view rvg file action.